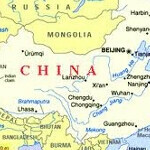 What smartphone model is favored by the Chinese for mobile web browsing? You might be in for a surprise. 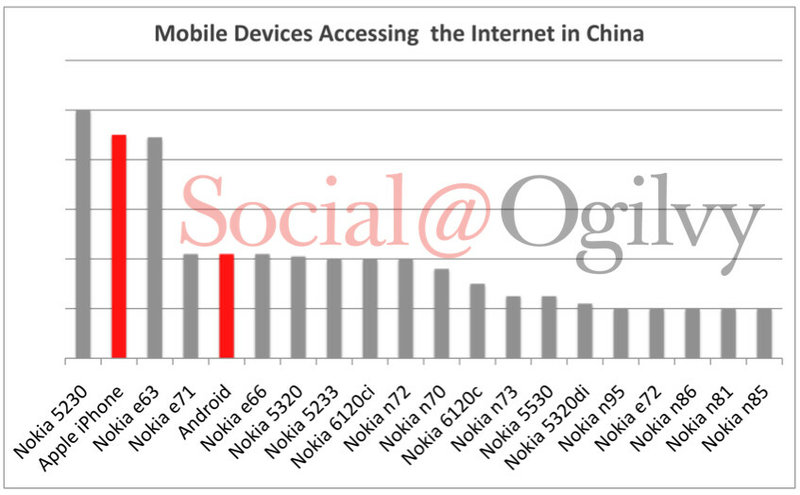 According to data produced by the Asia-Pacific director of ad agency Oglivy, it is the Nokia 5230 that comes in first. The device, launched back in 2009, is powered by Symbian and beat out the Apple iPhone which finished second. 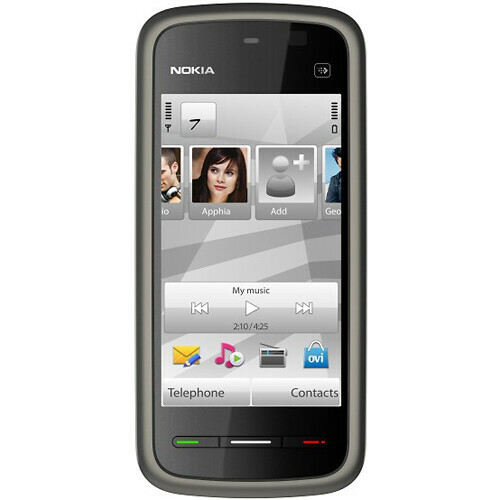 18 of the top 20 models were manufactured by Nokia. The Apple iPhone finished second and the Android platform finished fifth. Note that because some of the cheaper Chinese phones don't identify themselves when online, these models do not show up in the data. Nokia's dominance in the country could have something to do with the lower pricing on its phones. The Apple iPhone 4S costs 5,000 yuan ($753 USD) in the country, while the Nokia 5230 is priced at only 1200 yuan ($185 USD). This price difference is important in a country like China that has a lot of low paid labor, and explains why the Nokia device is ahead of the Apple iPhone in the number of users browsing the web. As a result of this discrepancy, Nokia's Ovi Store had a whopping 65.2% share of the mobile app market in the country. The latest data, collected in 2010, showed that with a 13.7% share, the Android Market was third in China with the Apple App Store's 9.4% slice of the pie enough for fifth place. This year, we should see some more Chinese using Android and iOS while Symbian might remain steady. Apple has been trying hard to gain market share in the country. If they can finally deliver a model for China Mobile with its greater than 600 million customers, it could be a game changer for the Cupertino based manufacturer. There is a typo with respect to pricing "Apple iPhone 4S costs 1,000 yuan ($753 USD) in the country, while the Nokia 5230 is priced at only 1200 yuan ($185 USD)"
I've always been a Nokia Symbian fan through and through... Nokia 6620, Nokia 9300, Nokia N75, Nokia E75, plus a whole bunch of S40 feature phones along the way as well. Only ever had one stop working... because I got it for free from a friend and it had already had the heck beat out of it, so it finally quit at the young age of 9 years. All of the others I have either passed on to family and friends, or sold, and as far as I know they are all still working great. My Mom still has my 9300, and loves it. Dad is trying to talk her into an iPhone 4S, and it looks like it'll go that way when AT&T starts shutting down GSM towers in these parts later this year, but as she puts it, "They're gonna have to pry this thing from my cold dead fingers!"